Thunderbird 4 is easier to swallow. Those that may have been watching any of the three new series from 2015 onwards. [ https://www.youtube.com/channel/UCtbLAxtXlWrvx1UrHF3i7PQ ] How many aged 43 are going to try to eat the vehicles? Nice little trains, and bought the Santa express, £50 at the moment from Argos a couple of years ago. Hornby, a great Chinese company. Great price! 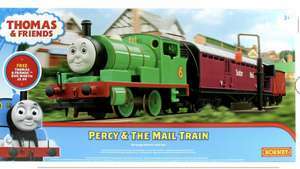 Gutted I missed the Thomas deal from Amazon a month or so ago... but this is tempting. Long live Hornby (y) Heat OP. £37.95 for the engine alone! I was only looking at this on Amazon, last Thursday, and it was nearer the £65 mark on there too. Great deal. Heat added. Bargain on the Florida 500 track! The 20 pack has vanished from the promo page but the is this one: https://www.amazon.co.uk/Hot-Wheels-DXY59-Diecast-Mini/dp/B01BMW645O/ref=mp_s_a_1_5?ie=UTF8&amp;qid=1543214277&amp;sr=8-5π=AC_SX236_SY340_FMwebp_QL65&amp;keywords=hot+wheels+20&amp;dpPl=1&amp;dpID=519PYM3mWgL&amp;ref=pplSrch Not sure what the difference is but the box looks different. You get less track with the Santa express, this set from Lidl also includes 2 short straights. No, a bit big for that. Save £50 and use a piece of scrap paper. Got this from Argos a few weeks ago for this price. It's a proper Hornby train set, so you're getting something better quality than the sub-£10 plastic trains that are quite common at the moment. Bear in mind - these 00 gauge locomotives are not really suitable for using directly on carpet (they can pick up debris &amp; damage the mechanisms). We fixed our track to an MDF base board &amp; the Christmas tree stands in the middle, on the board. laying some kind of plastic down on the floor would probably work just as well. here we go again. my asda just managed to get rid of them like 2 months ago. they were £30 on a pallet for months and not shifting. one day they all disappeared (empty pallet there, so sold no doubt). i wonder if they reduced them to £15 ?? £36.99 at argos 6 months ago. £33.99 about 8 months ago. My son was given it last Christmas from asda, was around £35. £49.99 isn't a very good price. Pray tell how much cheaper and when? Great price for TWO locos and the basic DCC controller plus the other bits. Thanks, ordered, first present sorted. Only 6 left so be quick. Original price £99.99, reduced to £33.99, sells for more than this on eBay! Got one today, it is a bargain for the price, I think people expect a full track layout, add £350 and you'll be there. Worth checking in individual stores, this was marked at £30 in Asda Radcliffe the other day. 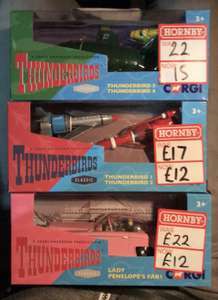 A great deal, £60+ elsewhere. A good pack for someone just getting started and a good way to buy some extra items if you already have a few sets. You can always sell those items you don't need like the controller. It was their "Christmas special" - permanently advertised at £120 on their website, and one store in Enfield on a Tuesday, so that they could flog it at Christmas for £60 "half-price", probably now the stores are clearing the last of the Christmas stock to make room for an Easter Special of similar poor value. Good price for £30. They had these in the Gloucester branch. Bargain but I suspect a local "one-off?" I haven't seen these in years!!! I miss my train set! Never seen these in Asda my entire life though! Wow! You're Asda sells genuine Hornby Accessories! Who knew? My Dad would love one of these. Heat added. I say this ever year, but seriously get one! It looks awesome going round the Christmas tree 8) Nice price too OP! Reduced from £60 now down to £40 online and in store. Picked this up today for “my son”. Says £60 on the box but actually £40. 3 years ago I got one of these free from Amazon, I placed the order but an hour later changed my mind, it was marked as not dispatched and simply clicked cancel order, then I got an email to say it had been dispatched, I contacted Amazon and they said don't worry it has been cancelled, 2 days later it arrived and I had not been charged.